Whether you're at home, at work, or on the road, count on Pacific City Auto Glass for auto glass and windshield replacement and repair. Serving Huntington Beach, California, and the rest of Orange County, we will be there the very same day 24/7 for your convenience. If you need glass repair or replacement, just provide the make, model, and year of your vehicle, along with a description of the problem. 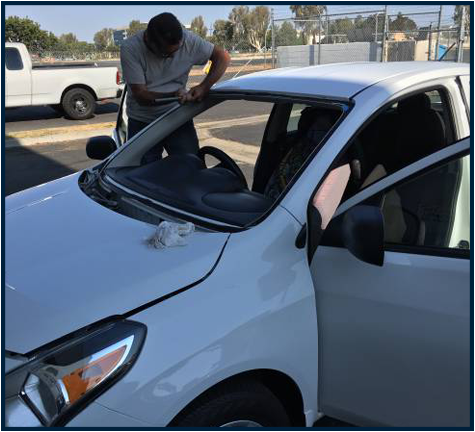 Our company has everything in stock for auto glass repair and windshield replacement for both foreign and domestic vehicles, including cars, passenger and heavy duty trucks, RVs, and SUVs. Lifetime warranties are available to ensure your continued satisfaction. Our I-CAR certified technicians can repair cracks up to 3 inches long for an 80 percent reduction in visible damage. For cracks 6 inches long, your windshield should be replaced immediately because such extensive damage is a safety hazard. All automotive windshields sold in the United States are made of laminated safety glass, which is two pieces of glass laminated with a thin layer of plastic sandwiched between them. If a rock hits and damages it, we seal it with our rock chip repair system before it cracks and requires you to purchase a new windshield. This system works by removing the air from the chip and sealing it with a clear resin. The whole process takes only 15 to 20 minutes and can repair chips up to the size of a quarter, preventing further damage. Sometimes a windshield is too damaged. 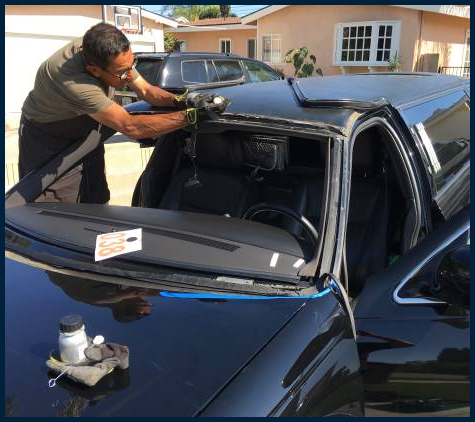 In this event, we offer complete windshield replacement for your vehicle. Be sure to ask about our specialty windshields, including heated windshields.